It is standard practice for companies to review regularly their vision and mission statements. At CapeRay we aspire to be a world leader in creating innovative imaging systems that are designed to diagnose breast cancer with both sensitivity (percentage of true positives) and specificity (percentage of true negatives) approaching 100%. That, simply stated, is our vision. 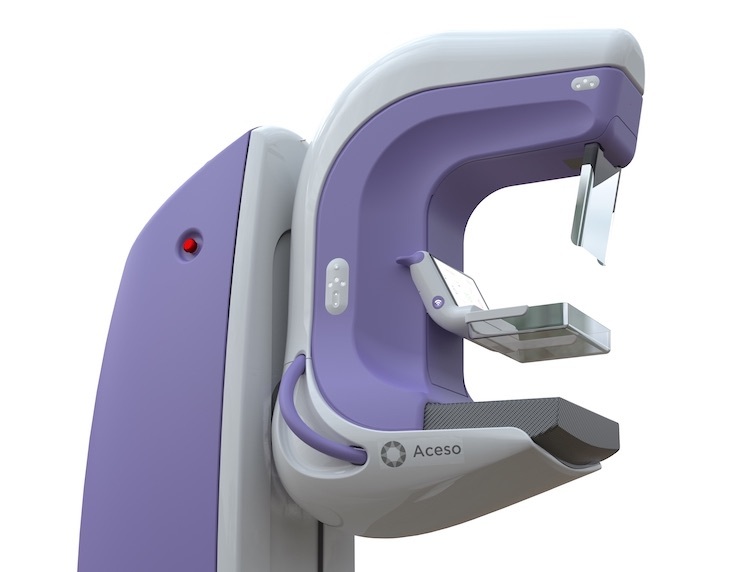 Our dual-modality Aceso system (seen right), which combines full-field digital mammography and automated breast ultrasound in a single platform, was developed with the aim of improving sensitivity and specificity, especially in women with dense breast tissue. We will shortly be embarking on a long-term clinical trial to test how far we’ve come in achieving our vision. CapeRay’s mission is to: (1) design, develop, manufacture, supply and service medical imaging equipment for the diagnosis of breast cancer; (2) determine the requirements and specifications for these products based on detailed market research that assesses the unmet needs of end users; (3) build these products to meet the highest quality standards; (4) ensure the risk of harm to both patients and end users is as low as possible so that the diagnostic benefits of the products outweigh the associated risks; (5) follow an iterative process of product improvement that incorporates feedback from end users while also minimising the cost of manufacture; and (6) invest in cutting edge R&D on a continuous basis. 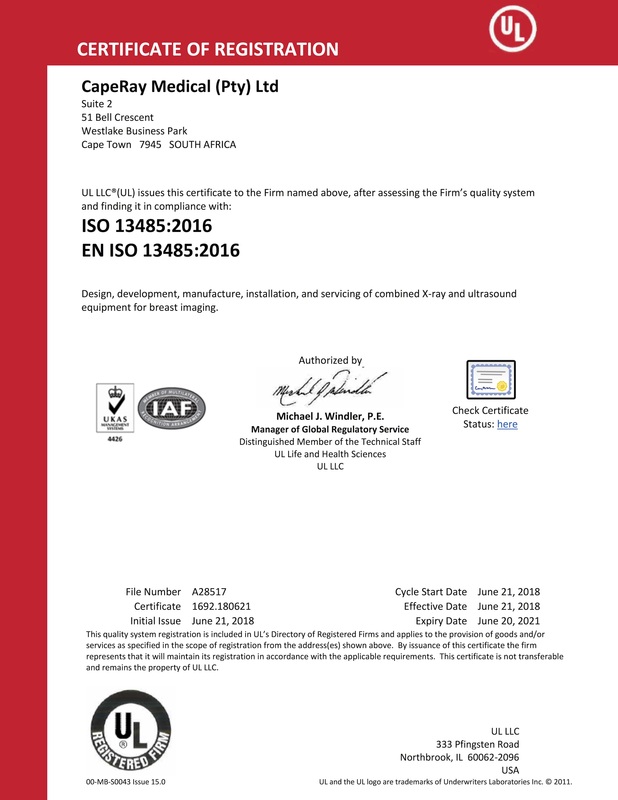 Yesterday marked an important milestone for the company in meeting mission statement number 3 – building high quality products – when we received the ISO 13485:2016 certificate (click on image at left) from our Notified Body, Underwriters Laboratory (UL). This followed an audit conducted by UL’s Paulius Dambrauskas who, over a four-day period in late April, explored every detail in our quality management system (QMS). What great news! Aceso will be a great addition to every hospital. I’m so glad to have been a part of this project. Wishing the team all the best. With the advent of the D 3 -AB US MAMMOGRAPHY MACHINE,,a machime that will be able to find 95% of early breast cancers, in women with and with out dense breast tissue,,Caperay will be the world leader in the mammography field! Congrats to Kit and the Cape Ray team – you really are going from strength to strength!! Many thanks to all of you for your congratulations and support. Our team at CapeRay appreciates your words of encouragement!